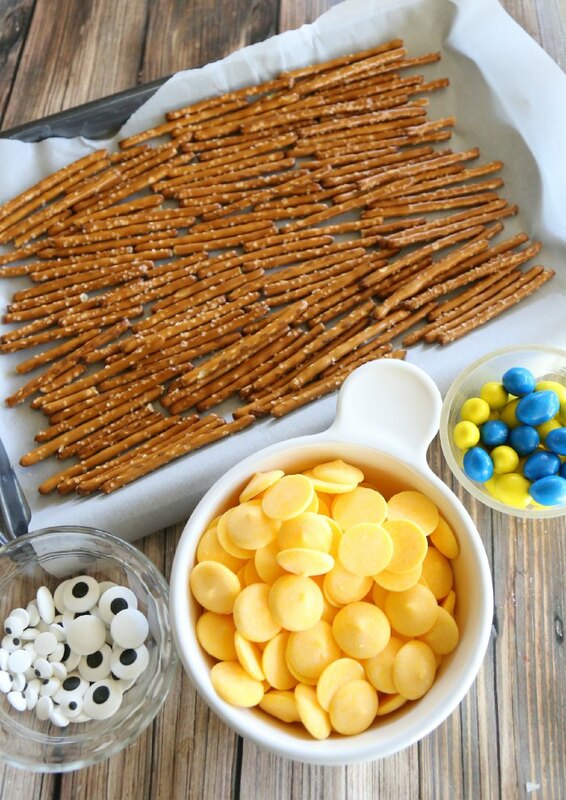 Arrange pretzel sticks in a single layer on a parchment-lined cookie sheet. You can use as many pretzel sticks as you can fit. Melt the yellow candy melts according to package directions. 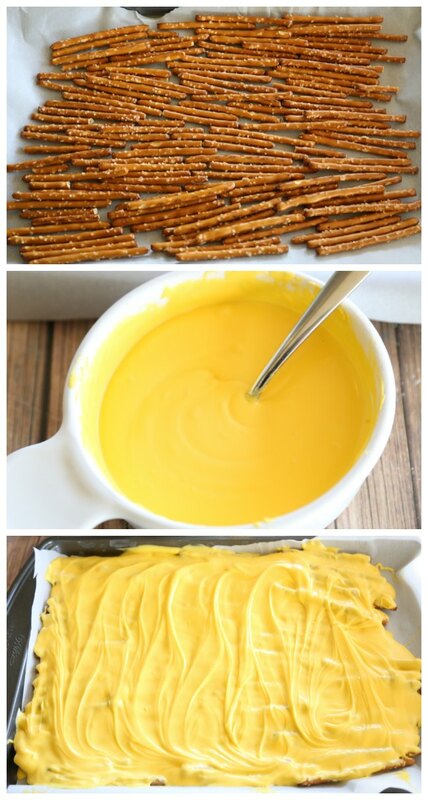 Then, pour the melts over the pretzel sticks. Carefully spread to make sure the pretzels are somewhat evenly coated. Before the melted candy hardens, add the embellishments (the eyeballs, the chopped candy, and any other decorations you'd like). Place in the fridge for a few minutes to harden. Once set, break, serve, and enjoy! So fun! 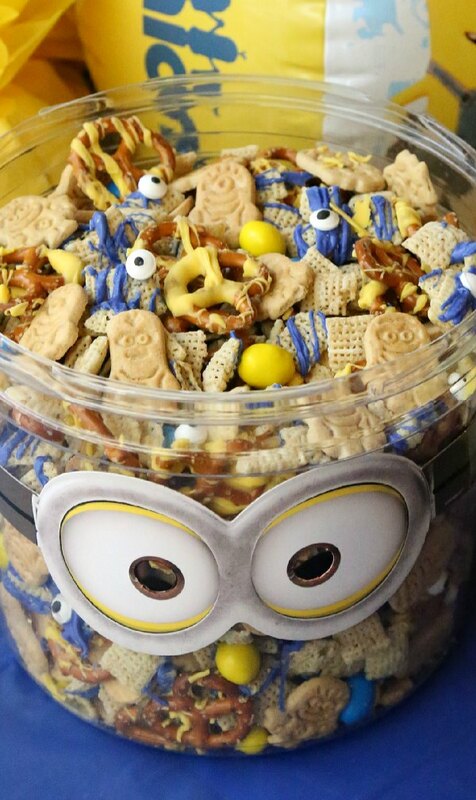 The kids will LOVE this for a fun Minions movie treat! Be sure to pick up a copy of the movie wherever movies are sold (find a retailer here) and then enjoy a family movie night! 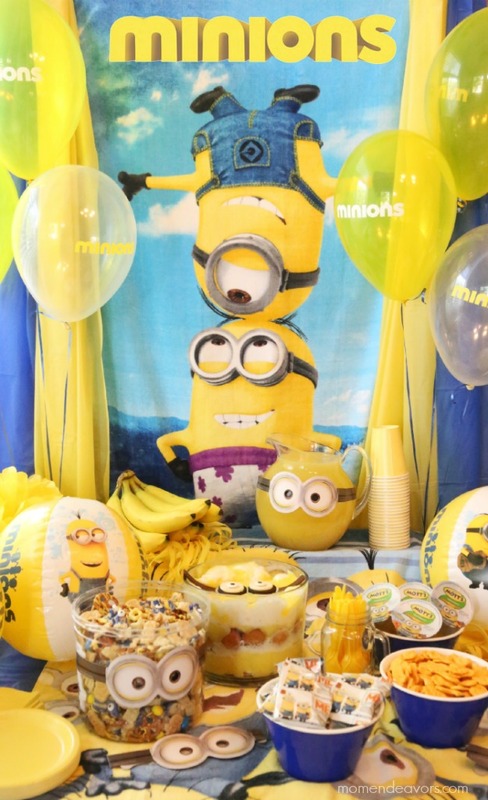 Need more inspiration to celebrate your favorite little minions? 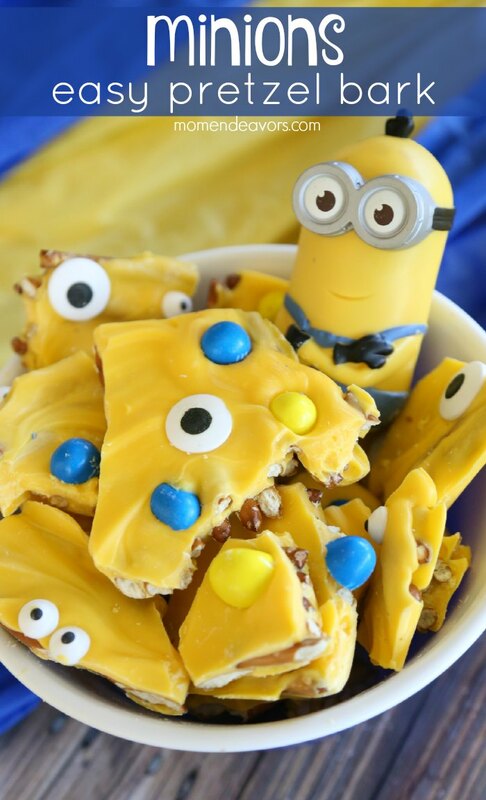 Be sure to check out more fun recipes at MinionsMovieNight.com! 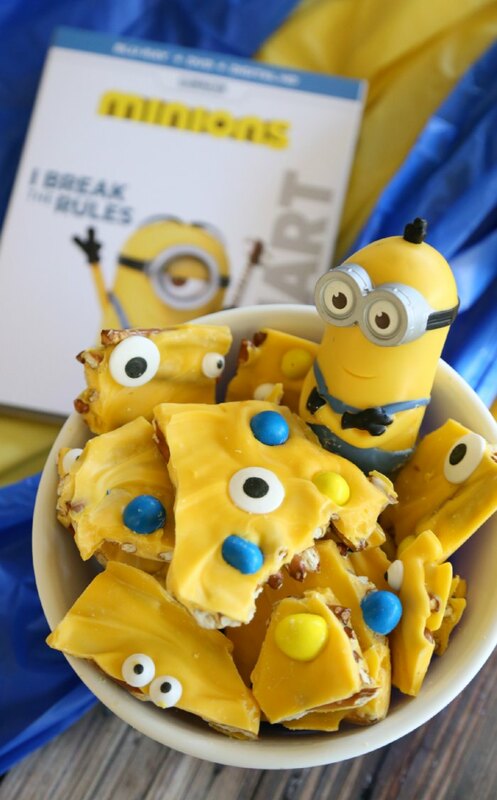 And then, check out these other fun minion posts! What a great recipe, thanks! I’m planning to surprise my husband (he is the minion mad one in the house) with some of this bark for our anniversary. He’s sure to luv it!